A key problem in creating robust estimates is over-confidence. Do you experience this problem? Try and give 80% accurate range for answers to the following questions, i.e. a maximum and minimum value for each. Ok, you should now have written down your responses. If you do not write down your answers, you won’t be able to assess their accuracy below. How many of the answers fell within the range you gave? It should be at least 4, otherwise you are exhibiting overconfidence. If you got less than 4 within your range, don’t worry. Over-confidence is common, but do bear it in mind with future estimates. How long does it take your organization to make a decision? What’s the lag between something breaking and the decision to fix it? Sometimes a good, but slow decision is worse than an imperfect, but slow one. Especially when you consider the number of people involved in making decisions in most organizations and the cost of their time. Are their layers you can take out of your decision making process to speed things up? Can you push decisions further down your organization to make it more responsive? Provocative article on performance reviews. If you hire only smart people won’t ‘forced curve’ grading invariably demoralize some of them? If people are underperforming, why do you need a performance review to tell them that? Shouldn’t managers be giving feedback regularly anyway? Anyway, the full article is here. Recommended. Earlier this year, the CDC committed to providing H1N1 vaccines on a broad scale as Time documented. However, the Wall Street Journal reported today, swine flu vaccine production has fallen far short of expectations. This is at a time when cases of swine flu are rising sharply (see graph below). It appears much of this shortfall will be recovered in the next several months. Still a shortfall remains, this post looks at why that’s happened from a project management perspective and what we can learn from it. The government forecast 30 million doses of swine flu vaccine would be ready by the end of October 2009. With a week to go we are at 16 million, so 46% below target, and even that target was revised down last week weeks ago for 40 million doses, so really we are 60% below initial target, of course some of that deficit will be made back in the next 7 days, but not all of it. Now of these the only one which is ‘legitimate’ in that it’s not under the producer’s control or ability to forecast, was the scope change from the government to single dose syringes, because that changed the scope of project. All the others events are forecastable. Of course, no estimate is perfect and things will deviate from it. But, crucially, if there are these reasons for things to be behind schedule, shouldn’t be there a similar number of factors driving things to be ahead of schedule? Basically, shouldn’t the ‘good luck’ and the ‘bad luck’ cancel out if the estimates used in the first place were fair guesses? Medimmune could produce more vaccine (delivered via nasal spray), but are limited by the number of sprayers they have. So they remain on target, rather than ahead of it. Net – the majorty of firms are behind and none are ahead. It appears there was too much optimism baked into estimates. A classic problem when formulating project plans. Also, if the chart above worries you, note there’s a good chance, the swine flu infection numbers are somewhat overestimated based on historical data. If these sort of project post-mortems interest you, see this related post on the delay and cost overruns of the Sydney Opera House. Free Project Management Book Giveaway! I have 3 hot-off-the-press hardback copies of my upcoming book ‘Strategic Project Portfolio Management’ to giveaway to celebrate the official launch on November 2. The book retails for $45. To enter, email the name and address you want your copy of the book shipped to to strategicppm@gmail.com with the title ‘Book Competition’. You’ll receive an email confirming your entry and will only be contacted again if you win. All entries must be received by November 2, and 3 winning entries will be selected at random from all entrants received by that date. Limit of one entry per household please. Interesting that Twitter posts will soon be searchable on Google and Bing (details here). I like that the article covering that development was titled drinking from the firehose. With the web becoming more realtime, it also potentially becomes more distracting. For example, you could read blogs for the most recent information, or you could read Peter Drucker or Benjamin Graham for a timeless perspective on business and investing respectively. I would argue that focusing on the important rather than the recent is far more effective. Yet tools increasingly drive us towards what is new, rather than what is good. First off, if a career in project management represents a change for you, there is a good discussion of career transitions here from James Copper. Not specific to project management but broadly applicable. Interesting blog post on starting a career in project management here from Josh Nakivel that discusses the importance of experience and the pros and cons of different qualifications. Here, Erika Flora mentions several ideas around creating buzz and volunteer oppotunities in the context of a job search. Here John Reiling discusses the value of the network for project managers. If you are studying for your PMP (Project Management Professional) Certification, there are some good online resources here. Following on from the bra as gas mask example, another interesting and award winning innovation. This one a rocking chair using the motion of the rocking chair to power a light winning a green design competition. The full details are at Design Boom. Thanks to PCubed for their in depth article on my upcoming book, focusing particularly on the idea submission stage of the portfolio process. 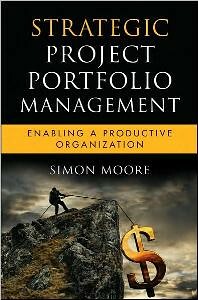 If you are interested in useful books on project management and related topics, I have compiled a list on Amazon here. You need feedback. It doesn’t matter how good your process is to start off with. You need feedback on what’s working and what isn’t. With feedback you can continually improve. Without feedback you are either shooting in the dark, or sticking with a process that will, inevitably, become outdated. Collecting, and acting on feedback is more relevant than how effective your process is to start off with. That’s why feedback is the single most important aspect of any project portfolio management system. Are you getting enough feedback, and what are you doing with it when you get it?